Lenovo at the MWC 2019 event has announced the new ThinkPad line-up including the T490s, T490, T590, X390, and X390 Yoga, Lenovo 14w with Windows 10 and Lenovo 14e Chromebook laptop, ThinkVision M14 mobile display, X1 ANC Headphones, IdeaPad S540, S340, IdeaCentre AIO A340 all-in-one desktop. 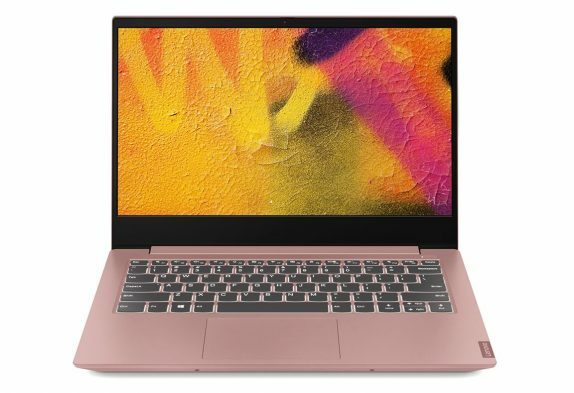 The updated Lenovo IdeaPad S540 is powered by the latest 8th Gen Intel Core i7 processor with up NVIDIA GeForce MX250 GPUs or another option with up to AMD Ryzen 7 3700U mobile processor with Radeon RX Vega 10 graphics. The company claims it can offer up to 12 hours of battery life with RapidCharge technology, which enables up to 2 hours of use with about a 15-minute charge. The IdeaPad S540 will be available in both 14- and 15-inch (1920 x 1080) versions, with up to 12GB of RAM, and up to 512GB of SSD storage. The IdeaPad S340 is also being updated with a choice between Intel’s 8th Gen Core i7 processors or AMD’s Ryzen 7 3700U processor. Both models will include up to 12GB of RAM. It will be available in 14- or 15-inch display options. The IdeaPad packs slim bezels and a webcam privacy feature, alongside using carbon fiber and an aluminum finish. It supports AI-powered Amazon Alexa and Microsoft Cortana. The IdeaPad C340 2-in-1 convertible laptop comes in 14-inch and 15-inch sizes and offers battery life of up to 8 hours with RapidCharge technology, Active Pen support on select models, and an optional integrated fingerprint reader for quick and easy PC log-in. Moving to the ThinkPad series, X390 sports a 13-inch Full HD (1920 x 1080) display with 50 percent thinner bezels. It is powered by the 8th Gen Intel Core vPro i7 processor, up to 32GB of RAM, and up to 1TB of PCIe SSD storage. It has a Thunderbolt 3 port, USB-C, two regular USB ports, and even an HDMI port and microSD support. ThinkPad X390 that uses the IR camera to detect if someone is behind you to enable privacy alerts or even the ability to darken the display and make it only viewable if you’re sitting directly in front of the laptop. 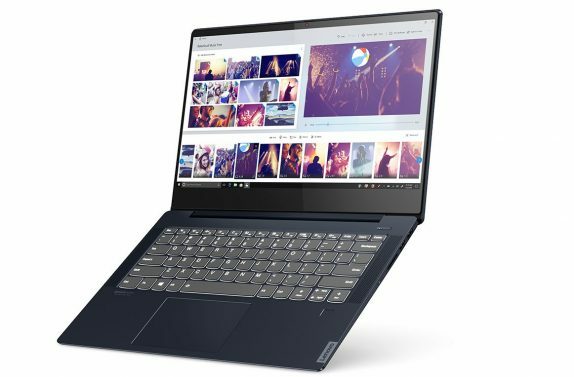 Lenovo is also updating the T-series ThinkPad laptops including the T490s, T490, T590 with PrivacyGuard feature, ThinkShutter webcam cover, dual far-field microphones with four-meter far-field performance and true 360o capability, and a new HDR IPS display option. The ThinkPad T490s, X390, and X390 Yoga feature the latest Intel Wi-Fi 6 Gig+, Bluetooth 5.1 and will be powered by the latest 8th Gen Intel Core processors. The ThinkPad T490 features CAT16 LTE-A support with the 4×4 UltraConnect antenna configuration for up to Gigabit speeds and maximum signal strength. The Lenovo 14w with Windows 10 Pro comes with built-in security, management and productivity features with Windows 10 Pro. It is powered by the AMD A6-9220c and sports a 14-inch FHD with IPS touch display with spill proof and backlit keyboard. It features a 57 Whr battery built to last a full day. The laptop gets access to Microsoft 365 services for first-line workers. As for the 14e Chromebook, it is powered by the AMD A4-9120c and sports a 14-inch FHD with IPS touch display with the same 57 Whr battery and Google Admin console and G Suite. The new ThinkVision M14 monitor supports USB-C ports as pass-through when connected to AC power and charge your laptop or simply connect and use as a second screen. The 14-inch FHD ultra-slim display provides vivid images with 300 nit brightness and includes an adjustable height foot for viewing comfort. Lastly, the X1 ANC Headphone are professionally tuned by Dolby for Lenovo systems, offers enhanced audio capability and noise-canceling features. 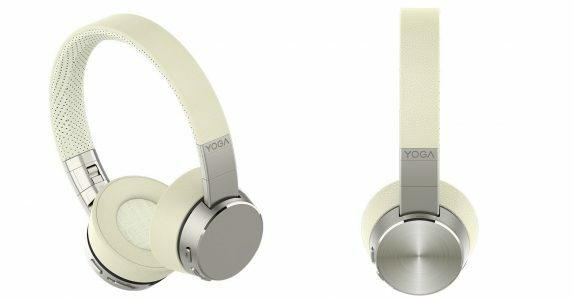 The company has partnered with Synaptics AudioSmart to create a boom-less six mic array Hybrid ANC and ENC headphones. Active Noise Cancellation (ANC) reduces distracting background noises, while Electronic Noise Cancelling (ENC) filters out those same background noises. 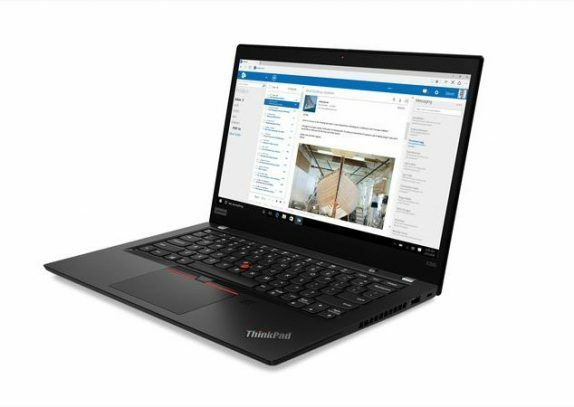 It connects via Bluetooth 5.0 and charges via USB-C.
ThinkPad T490s will be available from May 2019, and it starts at $1279 (Rs.90,890 approx.). ThinkPad T490 will be available from May 2019, and it starts at $999 (Rs.70,990 approx.). ThinkPad T590 will be available from May 2019, and it starts at $1029 (Rs.73,125 approx). ThinkPad X390 will be available from May 2019, and it starts at $1099 (Rs.78,100 approx.). ThinkPad X390 Yoga will be available from May 2019, and it starts at $1359 (Rs.96,580 approx.). ThinkVision M14 will be available from May 2019, and it starts at $249 (Rs. 17,695 approx.). ThinkPad X1 ANC Headset will be available from June 2019, and it starts at $149 (Rs. 10,590 approx.). Lenovo 14w with Windows 10 will be available from March 2019, and it starts at $299 (Rs. 21,250 approx.). 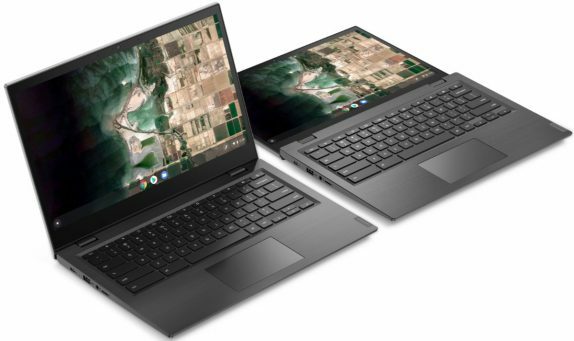 Lenovo 14e Chromebook will be available from March 2019, and it starts at $279 (Rs. 19830 approx. ).